Hygge (pronounced “heu-gah”) is a beautiful Danish word that encompasses the art of building sanctuary and community, finding the pleasure in the little things in life, inviting closeness and paying attention to what makes us feel open hearted and alive. Or, to put it more succinctly its everything and anything that makes you feel happy, content, cosy or comfortable. It could be enjoying tea and cake with friends, it could be snuggling under a blanket on the sofa, it might be the way you notice the dapple of light coming through the orange leaves during an autumnal stroll through the park. It’s about all those things, moments, or experiences that give you a warm fuzzy glow as you go about your day. That in a nutshell is hygge and rumour has it, hygge is why the Danes are the happiest people in the world! For me Christmas is the time of year where hygge is most prevalent in my life. I’m a huge Christmas fan because it’s a time spent with friends and family, eating and drinking, gift giving and snuggling up on cold dark nights with hot chocolate (and maybe a splash of Amaretto too). We were a little bit worried that with the work on the house taking longer than expected we wouldn’t have a cosy home for the winter months. 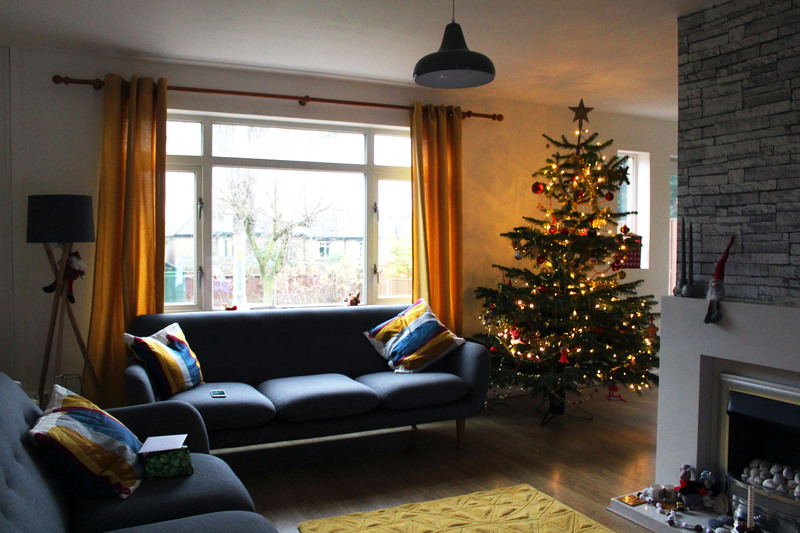 Fortunately we’ve managed to power through and I’ve been able to spend the last two weeks buying candles, soft furnishings and other festive decorations to add a touch of hygge to our home just in time for Christmas. For me, hygge means getting closer to nature. Although I love the city and all it has to offer, I am never more at peace than when I am in the countryside. With that in mind we’ve tried bringing lots of natural materials into the home – from wooden floors and house plants to marble and stone surfaces. 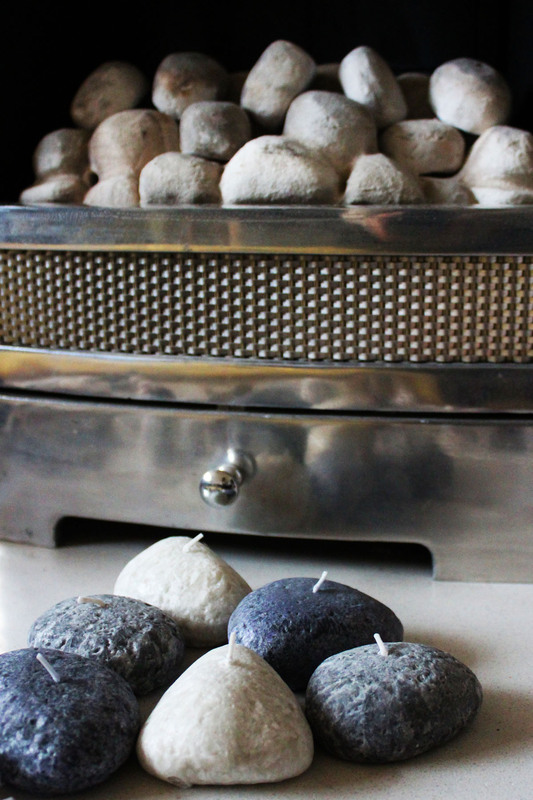 One of my favourite hygge purchases has been these pebble candles from B&Q. If it wasn’t for their wicks you could easily pass these off as real pebbles from the beach. They combine soft, warming candle light (a hygge must have) with a nod towards natural materials that fills me with so much happiness. Christmas wouldn’t be Christmas without a tree. That’s just a fact. The whole process of choosing the tree, taking it home, and dressing it with your favourite baubles completely epitomises Christmas hygge. Choosing the tree is one of my favourite parts as we all champion the tree we think is the most beautiful and majestic, hoping our choice will be the one that gets taken home. We then pour a snowball or too (a bit like eggnog for those of you not in the UK) and get to work decorating the tree. We usually use the same baubles year in year out but this year I wanted to add some new decorations to our collection. 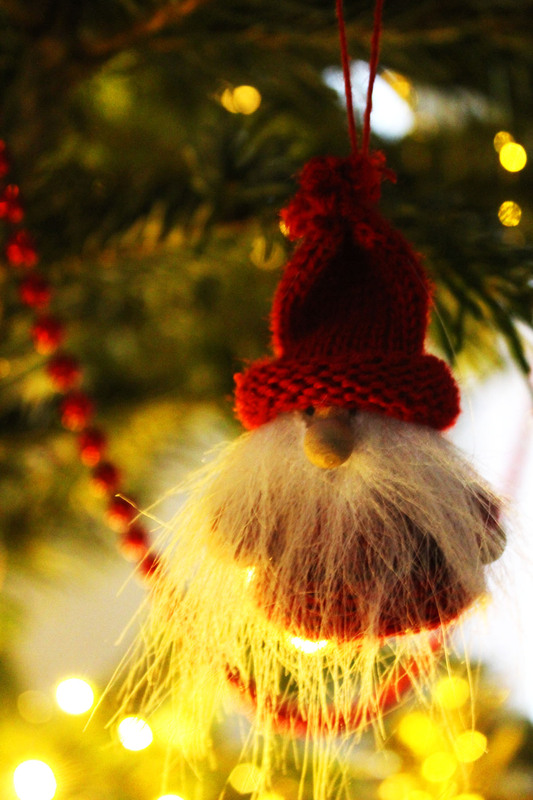 Dotcomgiftshop have some beautiful Scandinavian inspired decorations including the cute hanging Santas with big fluffy beards in the photos above and the laurel heart. You can see more from their range below. Of course the masters of Scandinavian home furnishings are Ikea, but you may not have considered just how good they are at gift wrap too! 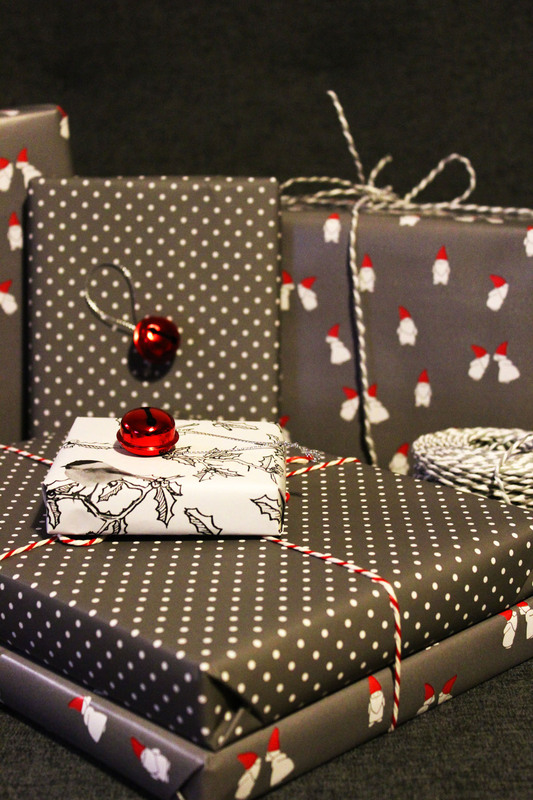 This year they have a beautiful range of Scandinavian Christmas wrapping papers and gift bags and boxes. I’ve gone for the “oh-so on-trend” colour grey for my presents this year, held together with some silver and white baker’s twine. I’ve wrapped the children’s presents in the Santa wrapping paper and the adults presents in the winter branches wrapping paper for a more sophisticated look. For me gift giving is always the best bit about Christmas. I will spend weeks if not months planning the gifts I want to buy my friends and family. Amazon wish lists are my real bugbear as I get so much joy picking out a personal present and seeing the recipients face when they open the gift. That moment, as they peel open the paper, is true Christmas hygge! When we visit friends and family over the festive season we never go empty handed. Making edible gifts for my friends and family has to be one of my favourite parts. Whether it’s a spiced cranberry chutney, rosemary parmesan shortbread or creamy vanilla fudge, I love to put together a pack of treats for them to enjoy over the festive period. For a real taste of Danish Christmas Hygge then you’re going to need glogg. Glogg is a hot punch made with brandy, red wine, AND sherry, all flavoured with sugar, seasonal spices, fruit, and almonds. You can find my recipe here. So there we have it, hygge really comes into its own in the festive months. 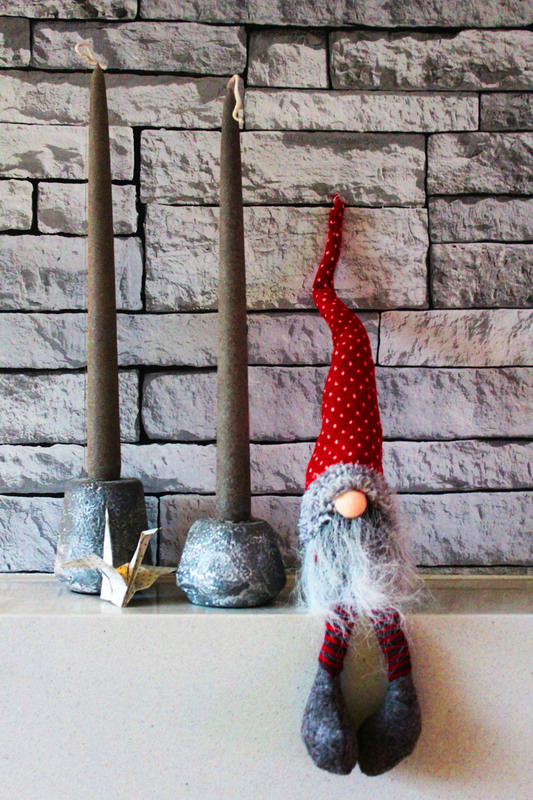 Are there any elements of hygge you’ll be bringing into your home this Christmas? Do let me know in the comments below.